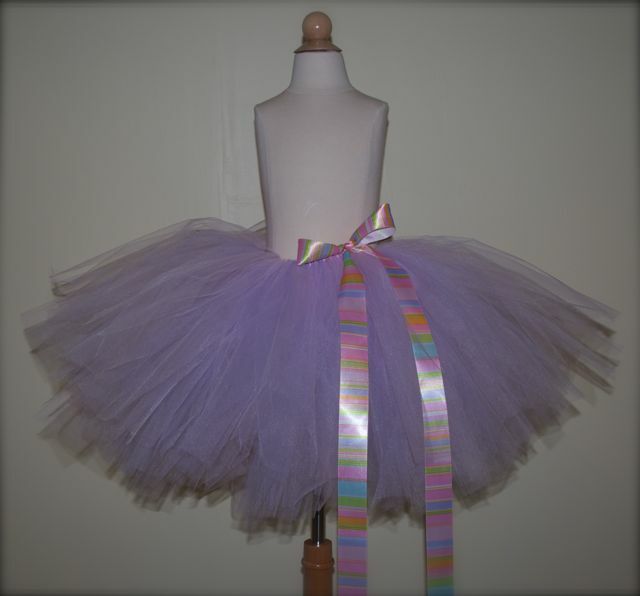 Back in the day I made a zillion baby and toddler tutus and sold them on EBay and Kijiji for a little extra spending cash. Here are some examples. 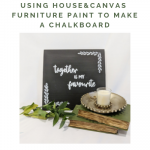 For the DIY, scroll down! Now, I just make them for friends and family! I still love making them. 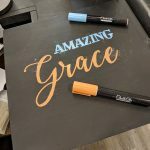 I made this one recently for my Electricians daughter, and I thought I’d share a little DIY…. 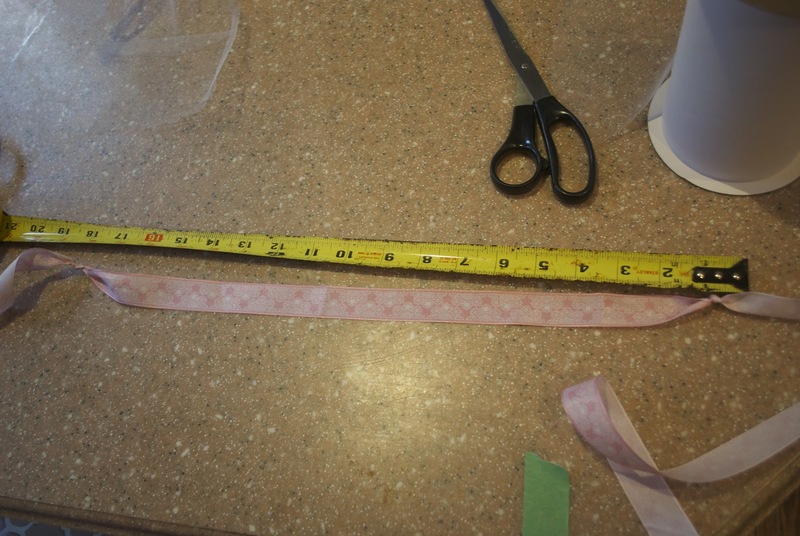 To measure and cut your ribbon, determine the waist size, and then add and additional 20″ or so (I like to have a long bow). 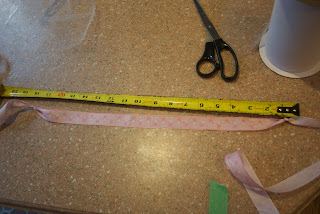 Once cut – from one end, measure 10″ and tie a knot, and from the other end measure 10″ and tie another knot. 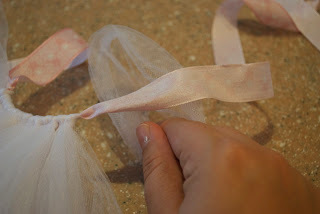 The space between the knots, is where you are going to tie your tulle. The extra ribbon on either end becomes your ties for a bow. Now, time to measure and cut your tulle. If you are making a ton of tutus, buy your tulle online (I always bought it at bbcrafts.com. Even with Canadian shipping, it was cheap). You will save a ton of cash and make a tutu for next to nothing. I haven’t shopped online for tulle in about 2 years, so there may be something better out there now. 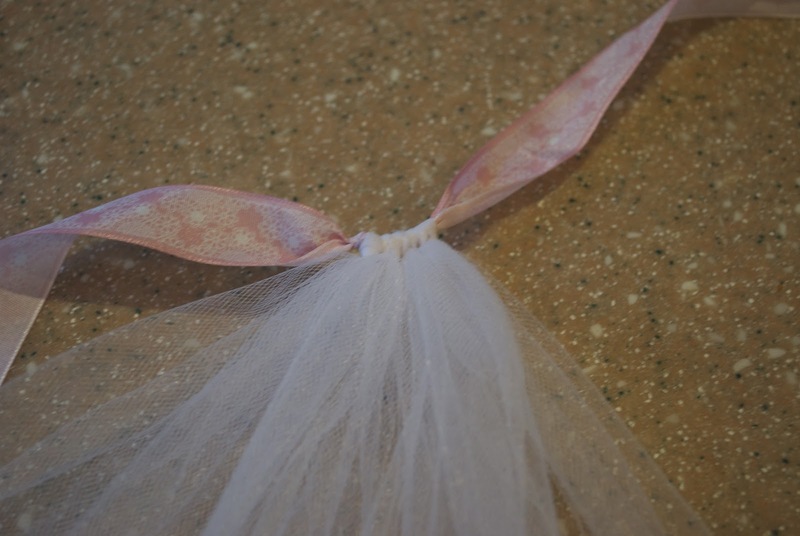 Now that I just do one by one, I buy my tulle at Michaels using my 40% off coupon you get in the weekly flyer. 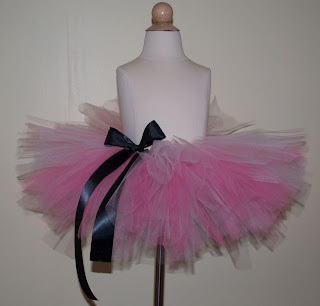 If you get a deal on ribbon, your tutu will cost about $10. For this DIY tutu, I used 50 yards. It was for an 18 month old, and was about 10″ in length. Okay, back to cutting. Determine the length of tutu you want, and cut your tulle at double the length. 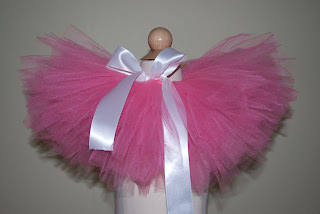 Example, you tutu is going to be 5″ in length, cut 10″ pieces. Start by cutting about 50 pieces, that’s the minimum you’ll need. Cut more as needed. 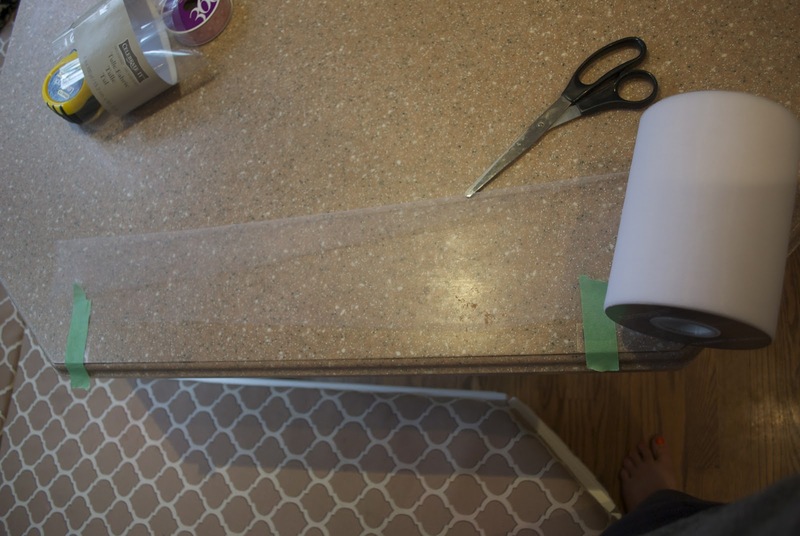 I always put 2 pieces of tape on my table in the length I am cutting. Makes it easy. Cut away, but watch out for crazy cats. 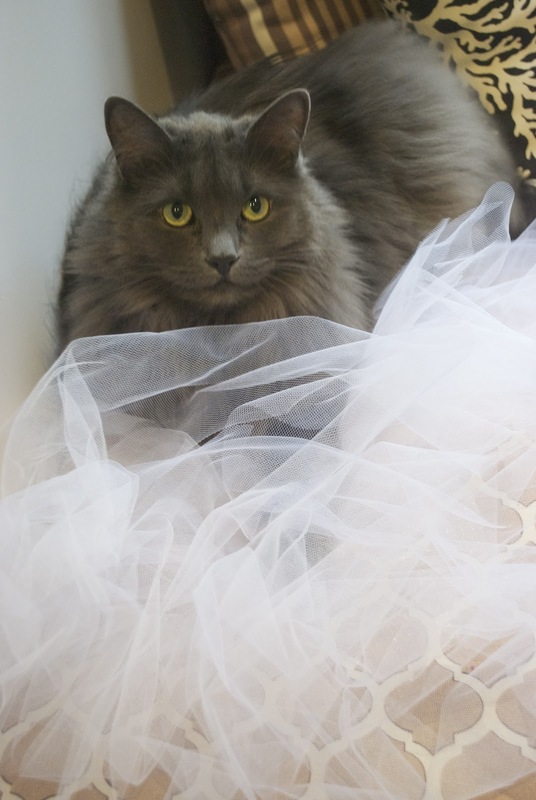 They love tulle. Time to tie the knots. It’s just a simple slip knot. Most important thing is to tie your knots tight!! 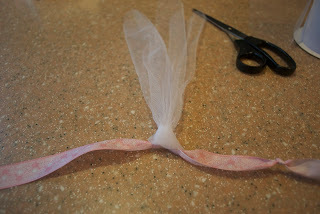 I usually tie my knots in the middle of the ribbon and then slide it to the end by the knot. (Don’t get confused… I just flipped the tutu over here. I find it easier this way.) This pic has about 7 knots. See how I tie in the middle, then slide to the end. 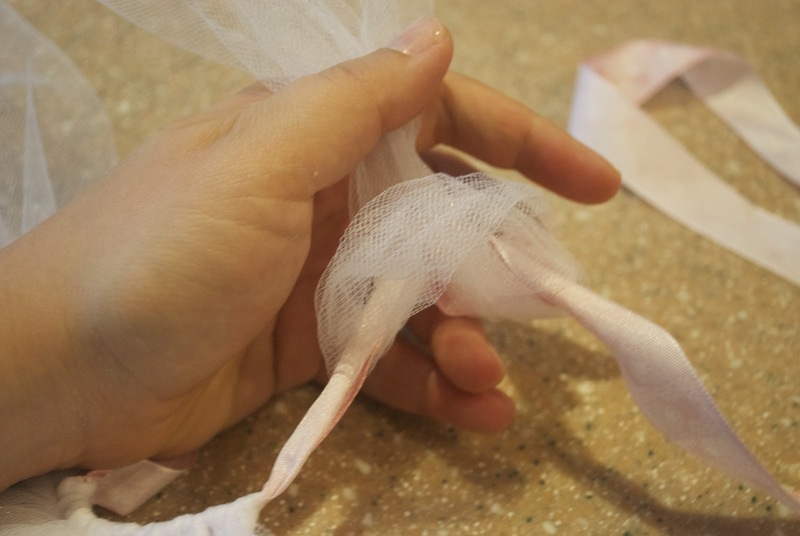 Just keep going… from one side of the ribbon to the next. Keep going from one knot on your ribbon to the next. Once you are done, use the left over ribbon on each end to tie a pretty bow. Let me know if you make a tutu… can’t wait to see it! And, if you have any questions, leave me a comments!! 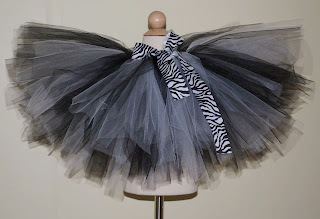 What an adorable tutu, and so hard to believe it is a NO sew project. Your cat looks so cute looking up at you with the expression he knows he's in trouble! Thanks for sharing your inspiration with Sunday’s Best – you helped make the party a success! This is so easy!!! I have a 3 year old who had a tutu that her little friends messed up. This would be a great way to make a bunch! Thanks so much for sharing! Hanna, I am so glad you stopped by my site! I just browsed your blog and seriously, you are inspiring. I so badly want to drop some weight, but I am struggling. 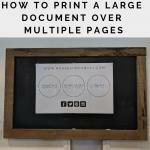 Reading about triumphs like yours give me a boost! Thanks for sharing! I am now your, newest follower! I just made 2 tutus for my twin girls for their 1st birthday party. Thx for your tutorial. They are soo cute! 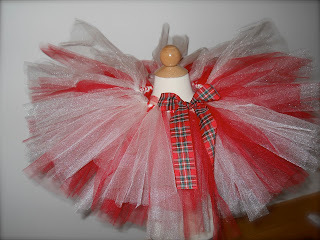 Where can I purchase the plaid Christmas ribbon that I see on the Tutu shown in the picture above? Or a similar one. I need it desperately for a church workshop. Hello! I bought most of my ribbon from bbcrafts.com. I found they were the cheapest for large amounts. But if you are just doing a one or two tutus, you can buy plaid ribbon at any craft store like Michaels (I'm in Canada) or even Walmart. Dollar tree at least in my area has ribbon a lot of times. 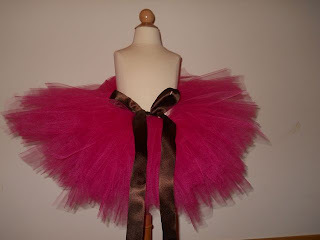 I've made a tutu from your instructions. Everyone loves it. I've decided to make them for my friends n familys kiddos. How wide should i make my tulle strips? 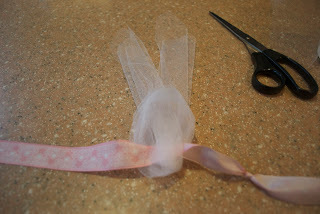 I am making a tute for my daughter's first birthday.. 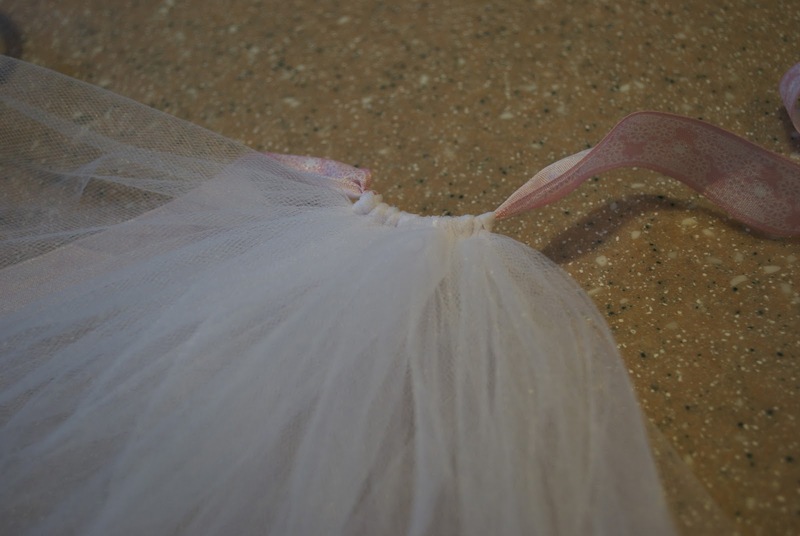 I've cut my tulle at about 15".. Will that just make it longer instead of sticking out straight or does that have to do with how tight u pull the tulle on the ribbon? 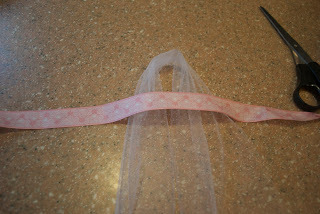 The tulle that I use is 6" in width. Thanks for stopping by! 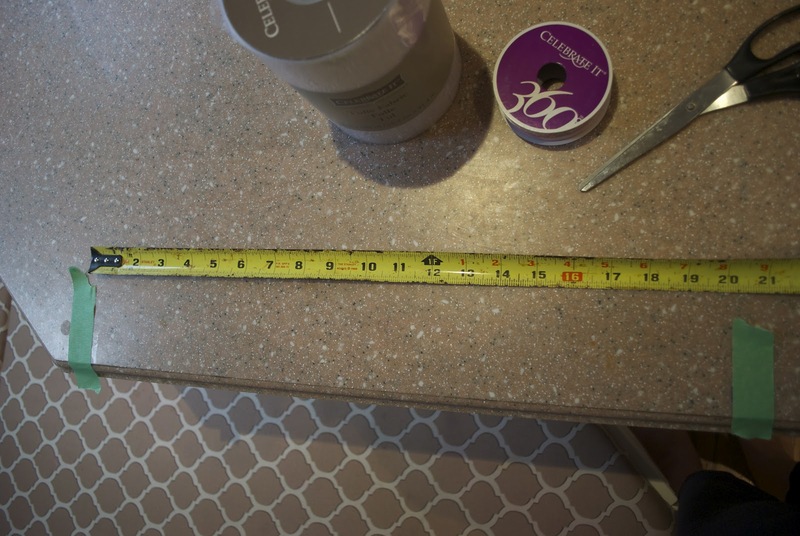 I used 6" strips, but you can go up to 12". Thanks for stopping by! I found that it just make the tutu longer (see the light purple one in my example pics). It doesn't matter how tight you tie it. It won't stick out. It will get lengthen it. Ok thanks for the tips. Have you ever done 2 colors in a knot? Maybe I can trim some of the colors to have 2 different lengths. I'm doing 6 different colors. (Going big for my first time lol) Any suggestions? 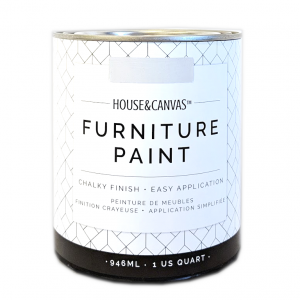 I like the sound of doing 2 colours at 2 lengths… Sounds great! Send me pics when you are done!!! I've done 2 colours per knot and it looks nice. The colours get mushed up all together, so I've done it with a light pink and dark pink. Doesn't look as nice with contrasting colours. Hi there. 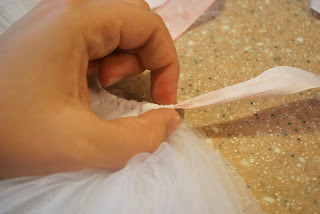 M a working mom with two adorable daughters and not a very DIY kind of person but l am obsessed with tutus and your tutorial looks impossibly simple. Thanks a million for sharing it. I've added your blog to my favorites list. One question though. 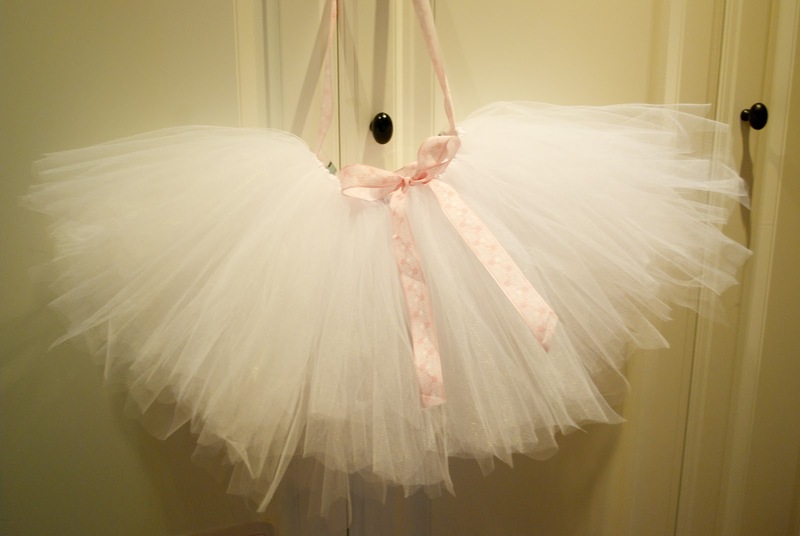 How do you make your tutu stick out. Also m planning a butterfly themed birthday for my daughter, any creative ideas? I like in a country where you don't find arts and crafts material easily and everything isn't available. 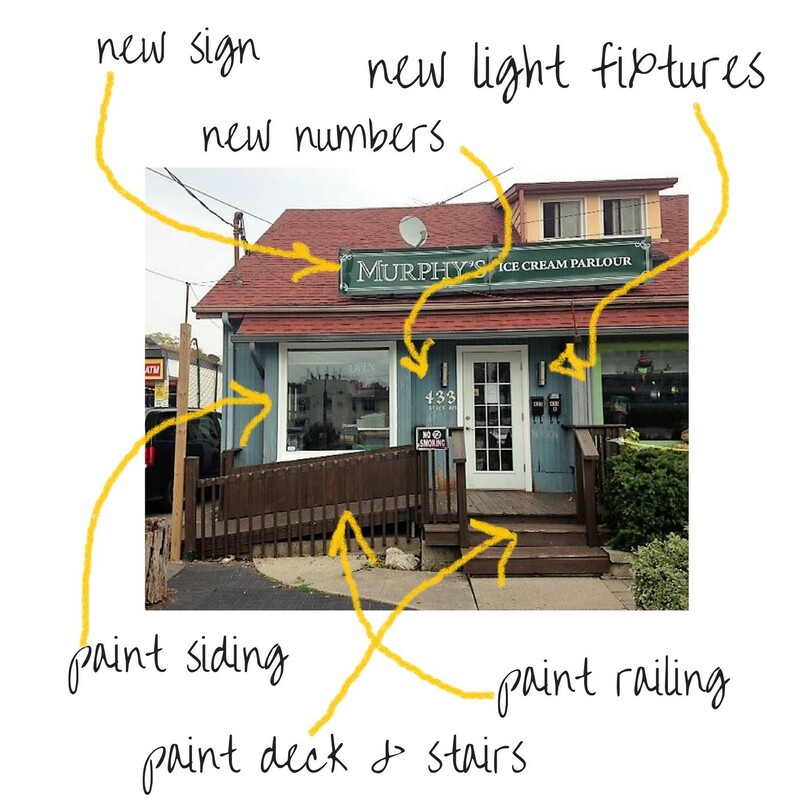 I've seen Michelle, the craft store that you are talking about, it's huge, v have nothing like that here. Also a lot of sites do not provide international shipping to where I live so can't even depend on that. Your help will be really appreciated. My daughter is turning 5. How do you make the tutu stand out like it does in your pictures? The best way to make them stand up is to tie the knots tight, and do lots of fluffing!! Also, store them upside down. Thanks so much for your instructions. They were very easy to follow. 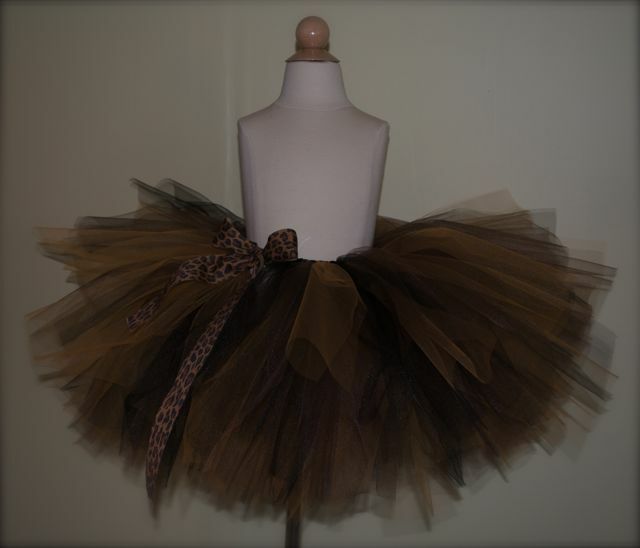 Just finished my tutu and I just love it! Hello! What pattern do I follow when using 2 colors for that layered look above? Hello! For the black and white one, I believe I did 3 black, 3 white, 3 black, 3 white etc….. Thanks!! Thank you very much for your tutu tutorial. 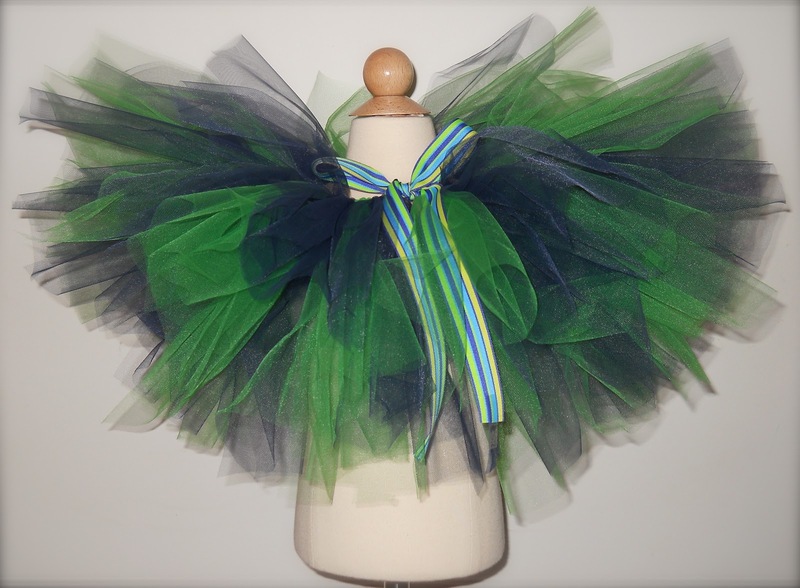 I just made a preschool size and two toddler size tutus for a friend's 3 daughters. There are too adorable for words. Thanks for sharing your talents. Brenee, Thanks so much for stopping by! You are too sweet 🙂 My daughter was minnie mouse for Halloween years ago and I wish I could find a digital pic of it to show you. She had her Minnie Mouse ears, with a black nose, and I made a tutu for her. 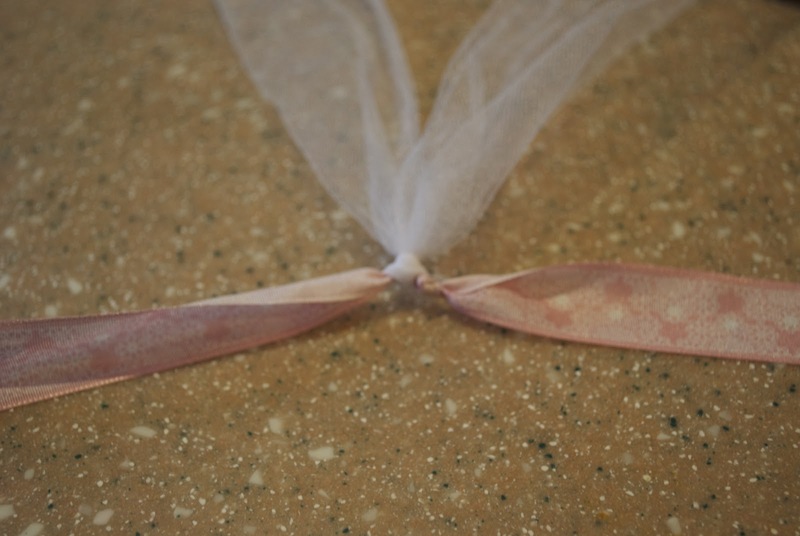 It was all bright red tulle, and I used a black and white polka dot ribbon. It was perfect. Where did you get your display busts? On EBay about 10 years ago! How many yards of tulle would you use for a 6 month old tutu, and a 4t tutu? Hi Cait, I am going to try this method today, I have seen the elastic waistband ones and don't like them, but this one looks fantastic. Do you just tie the bow to keep the tutu on? Your step by step was very helpful. I made my granddaughter one for the first time and I think it looked ok, but after visiting your page I'm in the process of making another one and because of how you explained it…..it's going to be much easier😁 thank you!